Actually, I'm hoping to be wrong in this assertion, and with main Consumer Electronics Show events commencing tomorrow there's still a chance I might be. The most important tablet, or table concept, must come from Google. The plethora of Android 2.x tablets won't be competition enough against iPad. When it comes to products and marketing, there often isn't safety in numbers. During CES 2010, Google released the Nexus One. The search and information giant designed the HTC-manufactured smartphone, which ran the then newest Android version -- 2.1. Many bloggers and journalists wrongly wrote that Google charted new retail waters by selling direct. I repeatedly corrected this claim. For example, Nokia has sold phones direct for years, Many blog or news posts about the N1 also missed the point: Google wasn't going into retail sales but establishing a reference design for manufacturers and developers. From that perspective, Google executed brilliantly with N1 and continued with last month's release of the Samsung-made Nexus S.
Google should do for Android tablets what it did with smartphones: Release a branded device (or even two -- in different sizes) that is reference design for manufacturers and always has the lastest Android software for developers. Otherwise, Android tablets have little to no chance competing with iPad. The market of Android competitors is simply too fragmented. Tablets aren't a new category, by any means. Microsoft Chairman Bill Gates tried to jumpstart the category during Comdex 2000, in November of that year. He introduced the "Tablet PC" concept running Windows and using a stylus. The first tablets, based on Windows XP, shipped two years later. For nearly eight years after, the category nudged forward and stalled; it was niche, not mainstream. Then a year ago, Apple introduced iPad, which was a surprising success -- certainly more than analysts predicted. "The tablet market was moribund until Apple set it off with its iPad," says Endpoint founder Roger Kay. Now it seems that anybody who is somebody, or wants to be, is debuting a tablet at CES 2010. "News of interest to me this year is the tablet announcements," says Kay, and he's not alone. "I had figured that anywhere from 20 to 40 new tablet models would be announced," says Kay. "Last week, Craig Ellis of Caris & Co estimated 69. How he got that precise number, I'm not sure. My own estimate is that only 25-40 percent of those will actually come to market, and many fewer still will find commercial success." Oh yeah? If last year's event is any indication, few might be better prediction. 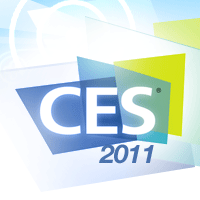 CES 2010 could have been called the year of the e-book reader (and smartphone). But for all the devices announced a year ago, how many remain or are viable? The market already is consolidating around two devices: Amazon Kindle and Barnes & Noble Nook, with Sony Reader still in the race. All three tablets share one important common characteristic: Massive retail distribution. All three devices can be purchased online or from major retailers, and there was massive holiday TV advertising campaigns for Kindle and Nook. Apple's tablet also is supported by massive retail channel, and advertising. The company has leveraged for iPad, the same distribution, manufacturing and retail channels established for iPod that also benefitted iPhone. Apple stands before competitors with a huge early sales lead over three quarters and perhaps even larger mindshare. Yesterday, Forrester Research predicted US tablet install base would top 50 million in 2012, with iPad being the major benefactor. Latecomers and newcomers will make up a fragmented market where most competitors will lack the distribution, retail, manufacturing and software development channels necessary to take on iPad. More likely, they will eliminate one another first. What the tablet market needs is leadership. Microsoft will provide some of that when, as rumored, it introduces new Windows tablets later today. But Microsoft is tarnished as a tablet brand and, clearly, looking at the mass of tablet announcements already queuing up for today, Android is the here-and-now operating system of choice for manufacturers other than Apple, HP or Research in Motion. Google must take charge by establishing reference designs for Android 2.x and 3.0 -- and in process clarifying system requirements for Honeycomb. Does it or does it not require a dual-core processor? Google cannot assume safety in numbers -- that with enough Android supporters the tablet market will shift away from iPad as iPhone is giving up market share in smartphones. Today will be the big day of tablet announcements at CES. A Google slate should be among them.